WINNERS OF THE CLARINET GRAMMY AWARDS ARE: Larry Combs, Eddie Daniels, Benny Goodman, Woody Herman, Artie Shaw and Richard Stoltzman. These Grammy winning recordings include soloists, chamber and jazz. As you might imagine, the recordings that win Best Classical Performance, Best Orchestral Performance, Best Choral Performance, etc… nearly all had clarinetists in the ensembles. This list does not cover these categories. This list holds names of clarinetists who primarily play clarinet. If you are wondering where names like Paquito D’Rivera are, try Grammy winning saxophonists who also play clarinet. Best New Classical Artist – Winner; 1985 Grammy Awards; Chicago Pro Musica including clarinetist John Bruce Yeh, Stravinsky: L' Histoire Du Soldat (The Soldier's Tale - Suite) - (also) - Walton: Façade (An Instrumental Suite In The Original Scoring). 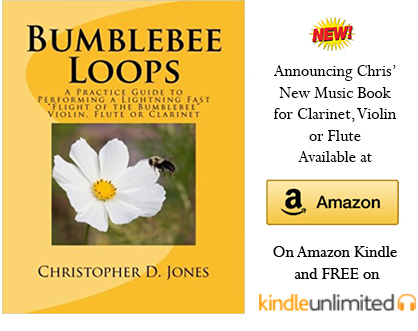 If I've missed any clarinetists who have won Grammy's, please contact me here. Again, for a list of saxophonists/clarinetists nominated, go here.